Just a quick little review for you today, of some lovely Caudalie bits that I was lucky enough to receive in my #Oxmeet goody bag. I know, I keep going on about #Oxmeet, but it was such an amazing day, and I’ve never seen such generosity from brands! 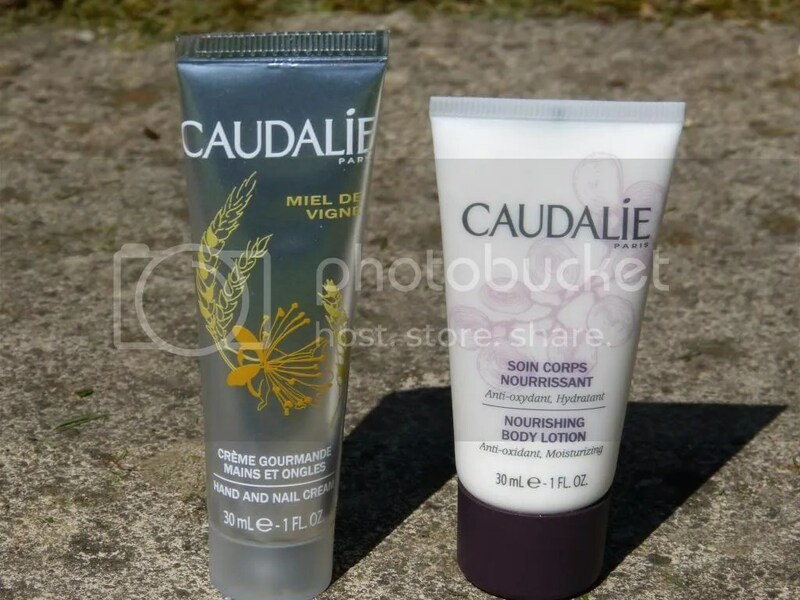 I was particularly excited to get to try the Caudalie Miel de Vigne Hand and Nail Cream*, and the Caudalie Nourishing Body Lotion*, because I’d heard so much about the brand on other people’s blogs. Suffice to say, I now understand what all the hype is about! First up, the Miel de Vigne hand and nail cream. Now, you know I have fairly high expectations of a hand cream – thick, non-greasy, and gorgeous scent. Caudalie nearly ticks all of these boxes, but I did find that the cream was a little thinner than I prefer, more like a body lotion. However, it sinks in really well, and keeps you feeling moisturised for ages, so I think I can overlook that! This isn’t sticky in the slightest. Oh, and, it has the most fabulous smell! It’s a sweet floral – I don’t get honey so much as honeysuckle – and it smells so summery and fresh. I love it! It’s a very good price for a high-end hand cream, at £6/30ml. In terms of formula, the Nourishing Body Cream is good but nothing special. It’s quite a thick lotion, which sinks in well, and keeps your skin soft, but it’s fairly standard for a good quality body cream. Buy it for the smell – if you can face the price tag (£26/400ml)! I’ll definitely be trying more Caudalie in the future, and if I can ever bring myself to spend that much on a body lotion, I’d repurchase this straight away! What do you recommend from the brand? Keep in touch by following me! This entry was posted in Beauty and tagged beauty products, beauty review, body cream, body lotion, caudalie, caudalie body lotion, caudalie hand cream, caudalie miel de vigne, hand cream, moisturiser, oxmeet. Bookmark the permalink. I love caudalie, I have the face moisturiser for oily skin and it smells and works amazingly! I’d definitely love to try out some more products now, the nail and hand cream looks lovely 🙂 great review! Keep an eye on the #Oxmeet hashtag on Twitter, we might well meet up again sometime over the summer! I don’t think I’ve ever tried any Caudalie before! I should really check out the first product, I’m terrible at remembering to use a hand cream. Hi Asha! Thank you for stopping by my blog! 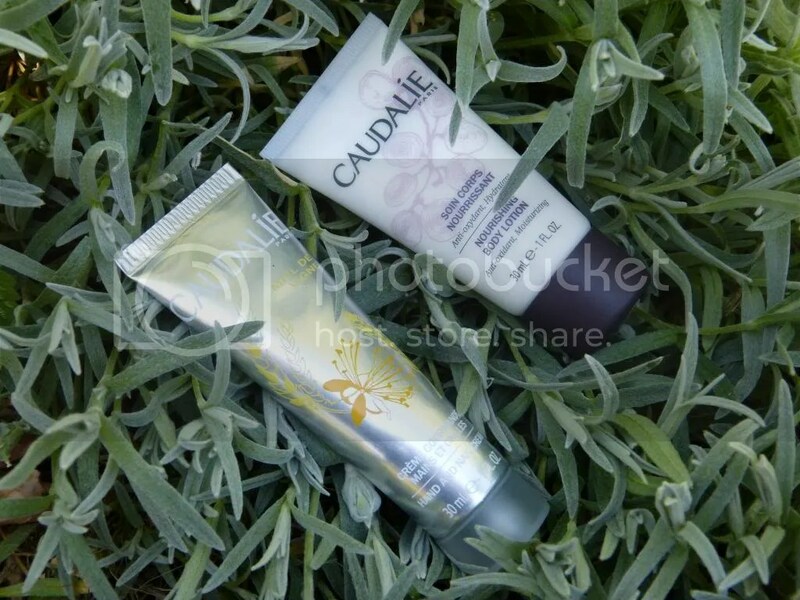 I actually have one Caudalie product I am going to test next week – their micellare water cleanser. We don’t have any American made (yet), and I’ve been dying to try one out. Wish I could try Bio-Therma! The body lotion sounds divine! I hope you like it! I haven’t gotten on with the micellar water I’ve tried, but I’ve heard good things about the higher end stuff… The body lotion *is* divine. I wish I could afford more!